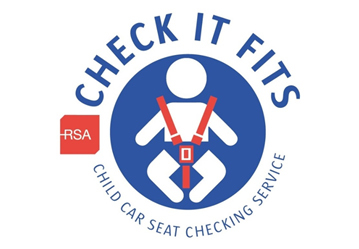 To address this problem, there will be trained RSA experts at our garage, who are familiar with almost every child car seat on the market, and who can check that your car seat is secured properly and safely. They will answer any questions you may have at our free ‘Check it Fits’ Service. There are two upcoming RSA Check it Fits events at our dealerships. Details are below. Drop into whichever one suits you best! No, It's completely free and there's no need to book in advance, simply arrive on the day. You don’t even have to drive a Toyota! We look forward to seeing you on August 1st at Pat Kelly Autopoint Ballina or on August 3rd at Pat Kelly Castlebar .